Do you own a dress form? 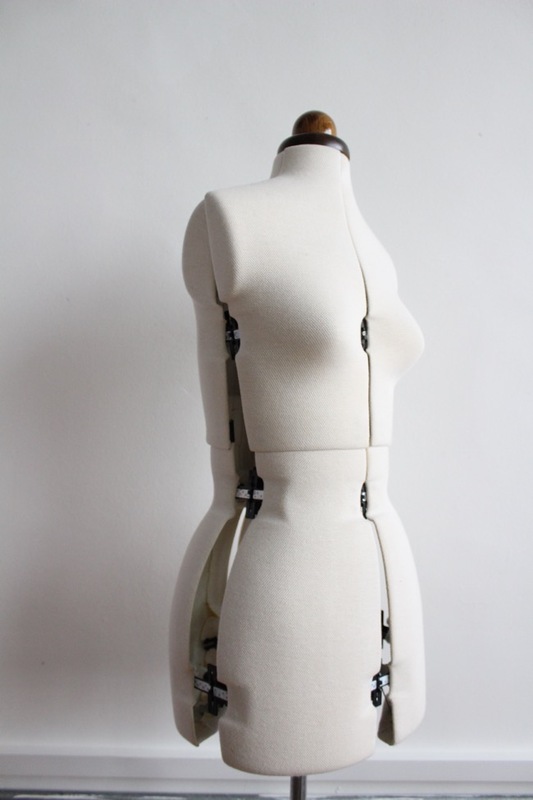 Also known as a dressmaker’s dummy or mannequin. One of the questions I’m asked a lot is whether to buy a dress form and which one I’d recommend. So today I thought I’d show you mine and talk you through some reasons you might want to get one. 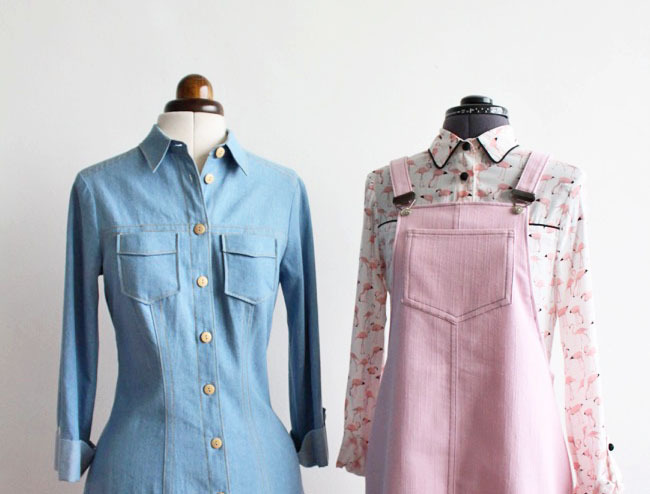 When you sew your own clothes, it's so important to check how your handmade creation is looking at different stages of the process - rather than waiting to try it on at the end, when it'll be too late to change it! Putting your make on a dress for is useful for getting an idea of how the garments is looking on a 3D body shape - particularly if you can't be bothered to keep taking your clothes off to try it on, or if you're sewing for someone else who isn't there, or if you want to see it from different angles, such as the back without having to twist the garment in front of the mirror. 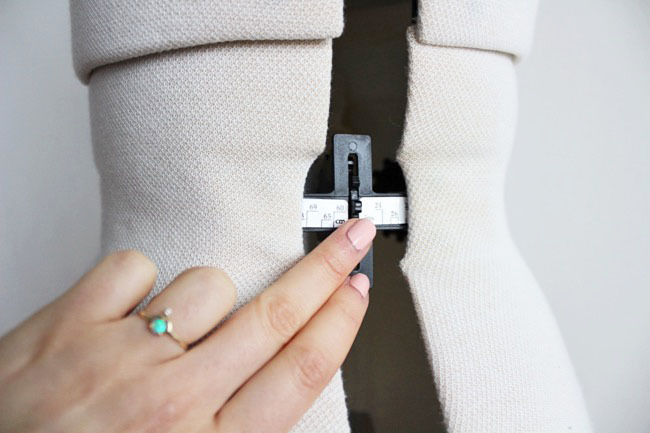 My Adjustoform dress forms have 12 dials which let me customise the measurements on the bust, waist and hips at the front, back and sides to my own measurements or those of whoever I'm making the garment for. 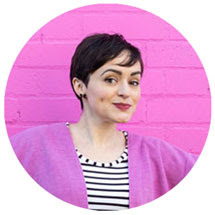 You can also lengthen and shorten the bodice on many of them, which is great if you have a short torso like I do, or a long one for that matter. Of course a dress form isn't automatically going to be exactly the same shape as your own body, since we all curve out in different places and different directions! Top tip – try putting a bra that fits you well onto the dress form, and padding it out with some wadding. You could also add padding to other areas of the dress form if you want it to reflect your own body shape more accurately. It's still important to try whatever you're making on yourself (or its intended owner) to get an accurate fit, and to check comfort with movement. But a dress form is useful for seeing how your sewing project is coming together in between fitting sessions. Pinning a hem on your own body can be a pain – not to mention difficult while you’re wearing the dress! 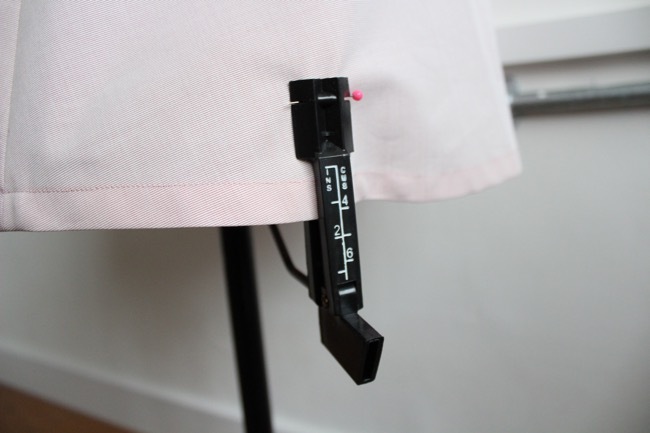 Hanging the garment on a dress form will give you a better view from all sides so you can pin the hem more accurately. Even better, some dress forms come with a hem marker! This is super helpful for ensuring the hem is level to the floor. They vary from model to model - some come with a chalk marker that puffs out a marking onto your fabric. 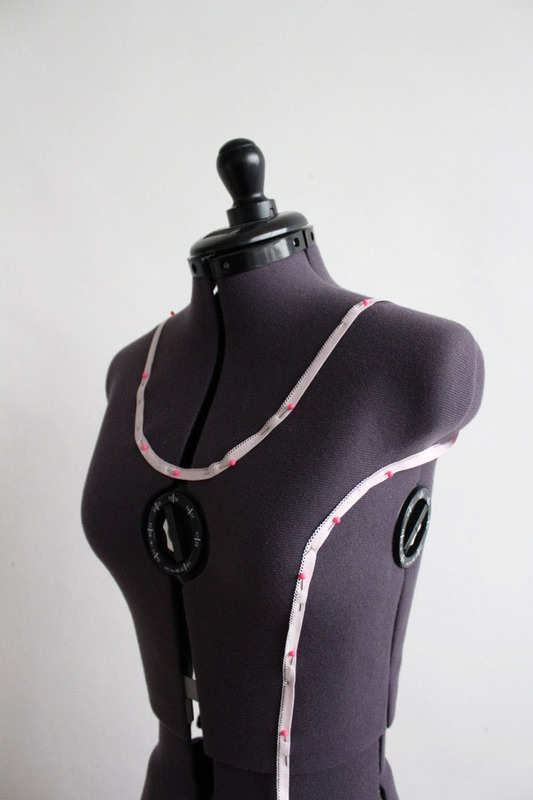 On this Olivia dress form, what you do is move the hem marker to the level you want it, then clip it onto the fabric. 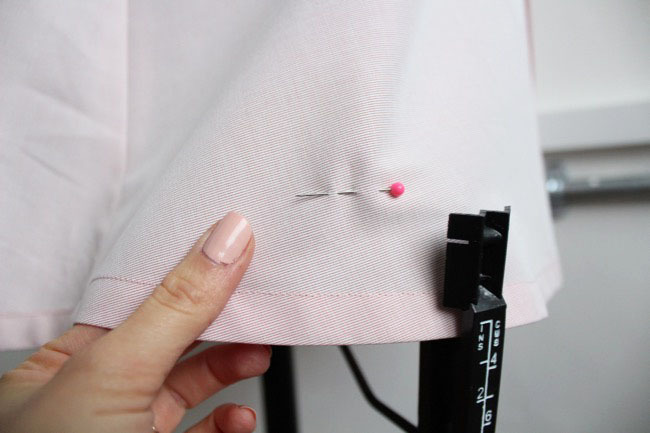 You then insert a pin into the slot and through the fabric, then unclip, swivel the marker around to the next spot you want to pin, and repeat until you've pinned the whole hem. If you’re a budding pattern cutter, having a dress form is essential for examining toiles on a 3D form from all angles, and working out where you want style lines to go. 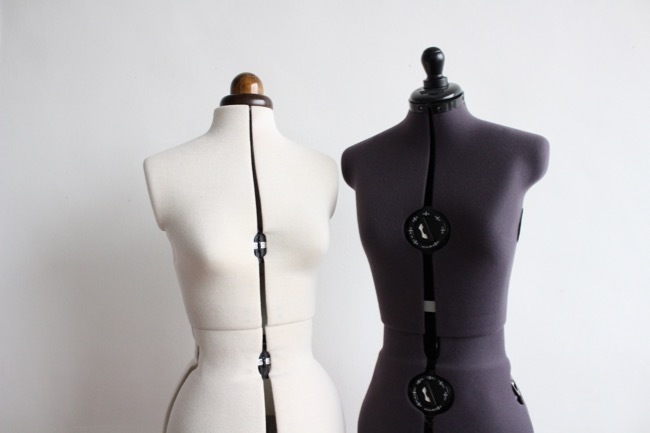 When I studied pattern cutting at London College of Fashion, we spent many hours pinning tape to mannequins to plot the seams, darts, necklines and collars on our designs. This was one of my favourite parts of the process - it really helps you visualise your creations and start bringing them to life. Another system of pattern cutting involves draping fabric directly onto a mannequin, and then creating the paper pattern based on how the fabric hangs. This is a more free-flowing alternative to pattern drafting directly onto paper, and is sometimes used in couture – it’s a bit like sculpture but with fabric! 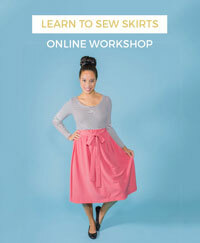 You don’t need to draft your own patterns to take advantage of your dress form for designing clothes. If you’re thinking of adding your own design tweak to a garment, putting it on a dress form first and pinning on the embellishments will allow you to step back and see if they look right. Does the trimming it look nice against the fabric? Are those pockets in the right place and in proportion with the rest of the garment? Does the collar you want to add look like the shape you had in mind? 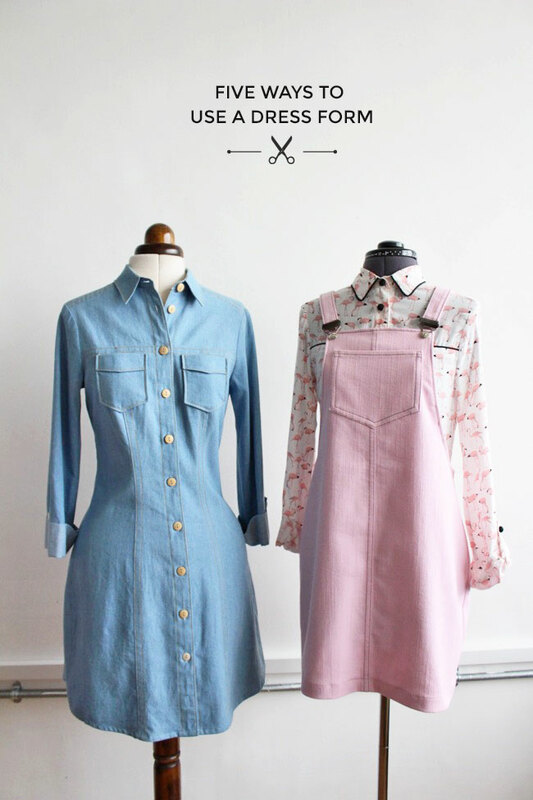 A dress form is super helpful for getting creative and experimenting with your sewing! 5) Display your finished creations! I love having dress forms around me when I’m sewing – and just in life! – to display my recent makes and samples of patterns that we're working on. We also use our dress forms to showcase pattern samples at our workshops and when we’re at shows. It’s much more inspiring to see clothes that you’ve spent ages making displayed on a 3D form, rather than on a hanger, and gives you a better sense of how they will look on a person. So those are five ways you can use a dress form. Have I missed anything out? Do share your own ideas in the comments! This post was sponsored in kind - thanks to Adjustoform for supplying some of our dress forms.